YAY! It’s Friday and for some people that means it’s time to kick your shoes off and relax with a drink. As most of you know, I try to provide a variety of themes and topics for each Freebie Friday. It occurred to me that there are some men planners out there and I haven’t really done a topic for them. It just so happens that April 7, 2018 is National Beer Day. Yes another food holiday and it’s a good reason to celebrate with a beverage. 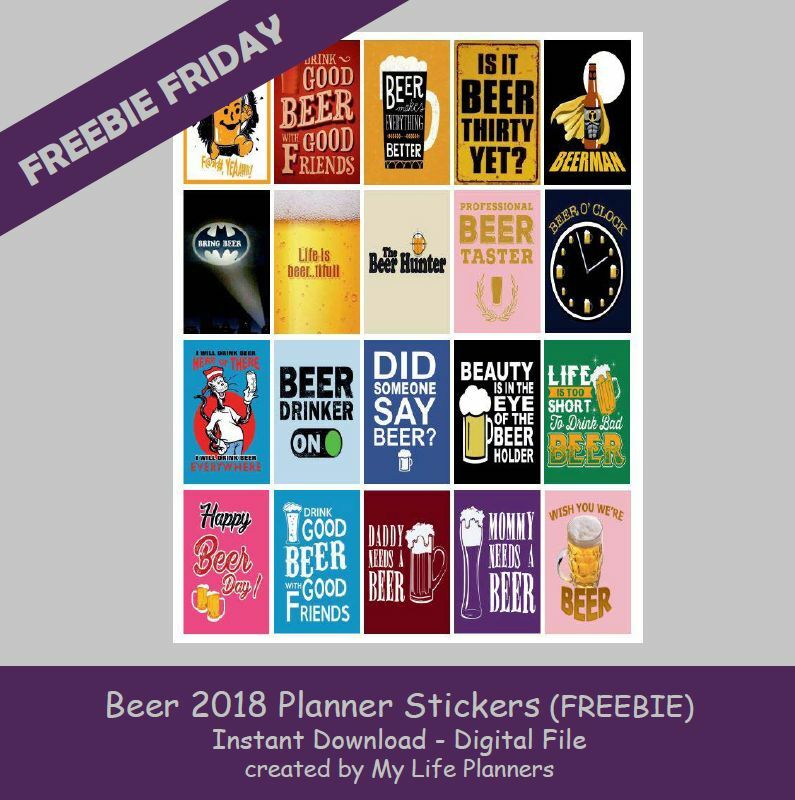 This week’s feature for Freebie Fridays is obviously Beer. Cheers!